We have just received word that there are only a few copies left of Ricardo Cases' critically acclaimed book Paloma al Aire, published by Dewi Lewis. 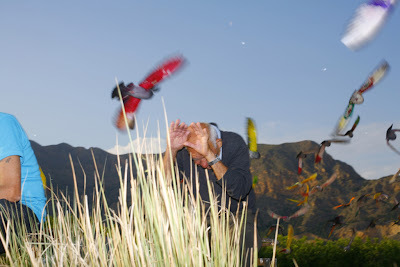 Ricardo Cases’ third photobook deals with an unusual subject: a unique form of pigeon racing practised in the Spanish regions of Valencia and Murcia. Known as colombiculture, it is a sport with rules and referees. It consists of releasing one female pigeon and dozens of males. Painted in combinations of primary colours, reminiscent of flags or football kits, these pigeons chase the female to get her attention. None ever manage to get too intimate, and consequently the winner is the one that spends the most time close to her. The winner is not necessarily the most athletic, the toughest or the purest in breed but the most courteous, the one that shows most constancy and has the strongest reproductive instinct. This is the one that is seen by aficionados of the sport as the true embodiment of ‘macho’. The pigeon handler invests time, money and hope in his young pigeons. He raises them, gives them names, trains them and has faith in them. When competition day arrives he is full of childlike illusion and uncertainty. 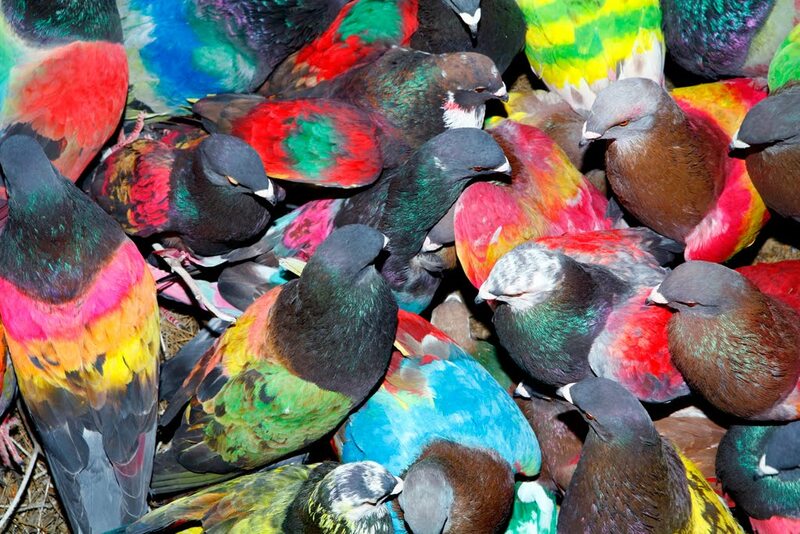 The price for young pigeons can reach thousands of euros and betting involves large amounts of money. The male pigeon becomes almost a projection of the pigeon-keeper himself, who embodies its sporting, economic and sexual success or failure in the community. Raising a male champion can bring both prestige and profit. Far from the harsh reality of his daily life, the colombaire has a second life where all is possible – he can reach the top. He just needs a champion pigeon. 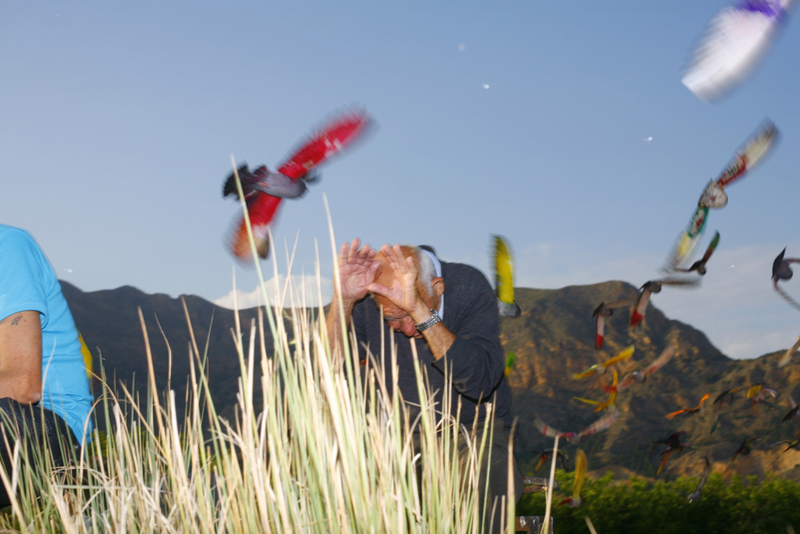 In Paloma al Aire, Ricardo Cases explores the sport as a symbolic act, a projection and a way of relating to the world. It is an ethnographic documentation as groups of men run through the countryside behind their male pigeons, observing their mating performances, discussing the rules and the decisions. It could almost be a study of the rituals of a remote tribe or of a group of children who, in the process of discovering the world, invent a new game. Born in Orihuela, Spain, in 1971, Ricardo Cases originally studied journalism at the University of The Basque Country. He has exhibited widely throughout Spain as well as in China, Poland and Peru, and has won several awards. He now lives and works in Madrid and is represented by La Fresh Gallery, Madrid. We have also included this short video to give you a better picture of the book and the work as a whole.